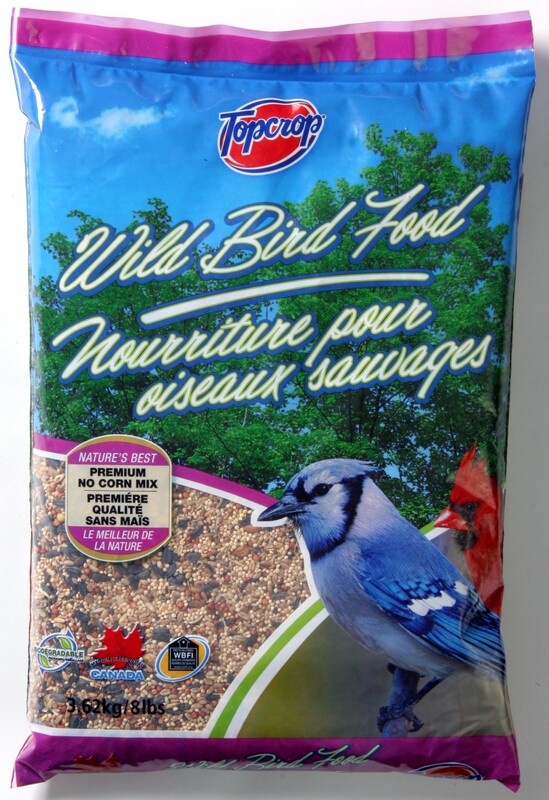 Topcrop Wild Bird Food is the perfect multi-purpose choice for attracting a full range of wild birds to your feeders. This premium no corn blend creates less waste. It contains sunflowers and peanuts to attract desired birds like blue jays and cardinals. There is also plenty of millet to draw in the smaller birds such as juncos, chickadees, tufted titmice, and house finches among others.